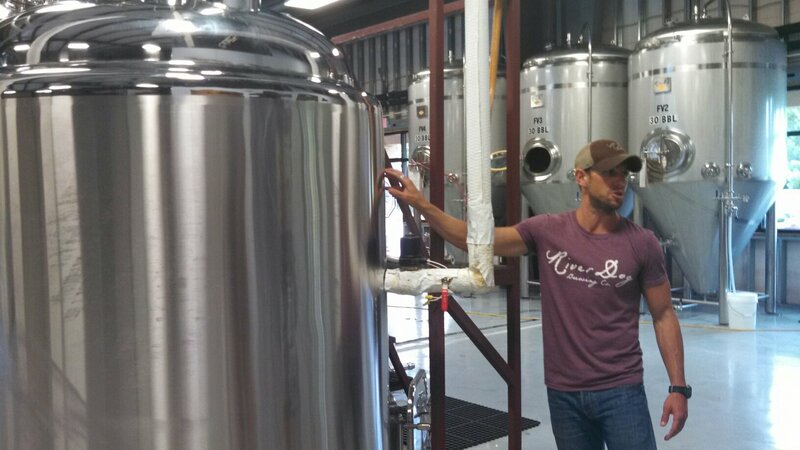 The just opened in May 2013, and have been brewing since 2012. 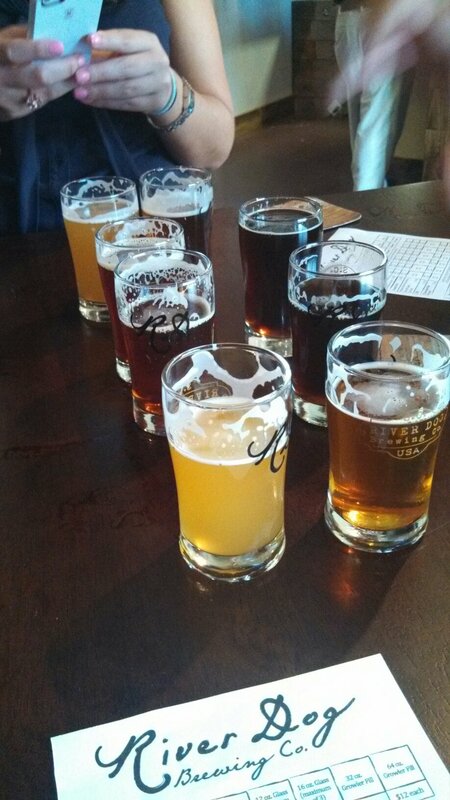 A few locals got together and decided to try Craft beers. Now they ship their beers to local distributes all across the state. 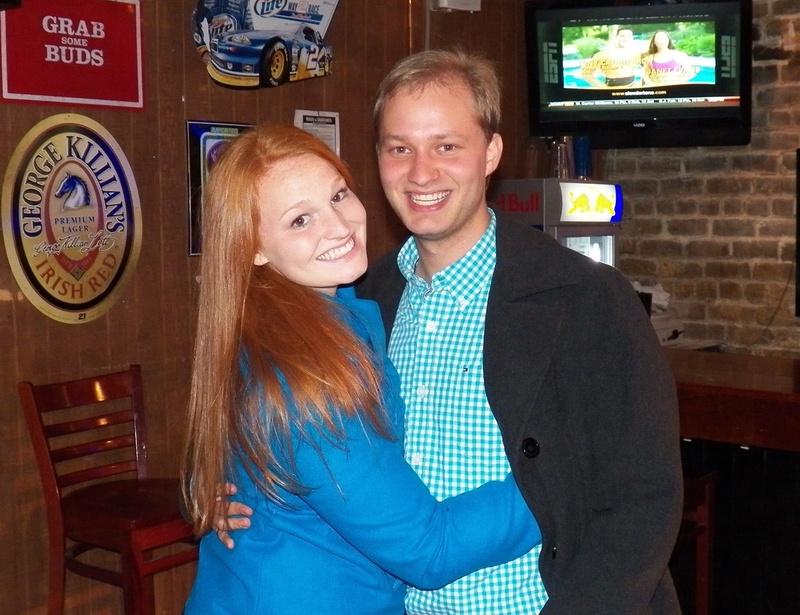 They are moving into Georgia soon, and I am sure will reach out to even more states in the coming years. My favorite was the Coastal Wit. Nice, refreshing and light. The partners, offered to take us on a tour of the facility. 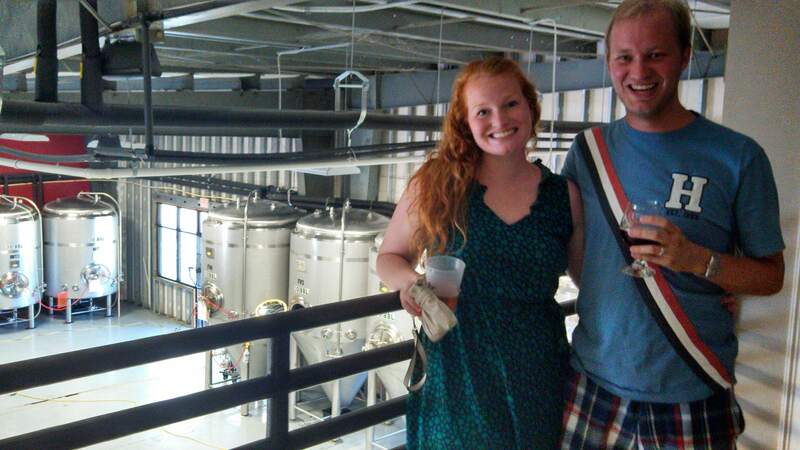 We have been on a few brewery tours, and everyone company does it differently. This company found its name from their love of dogs. 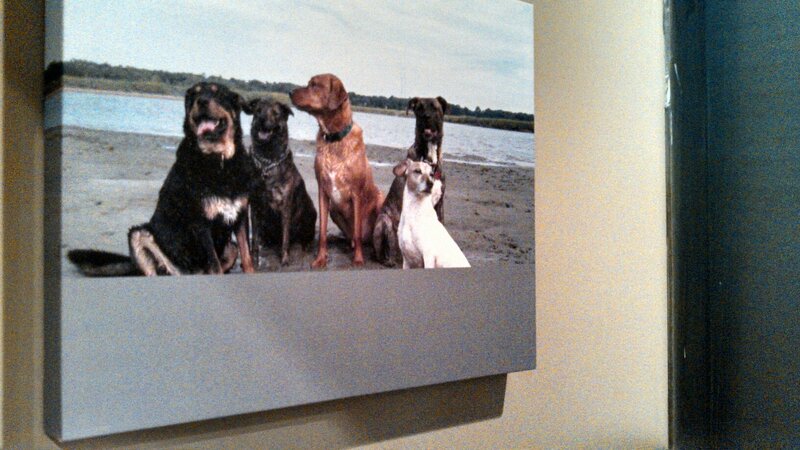 They had the most adorable pictures of their dogs in the tasting room for display! Dog lovers are truly the best! With one of the RDBC partners explaining the process. 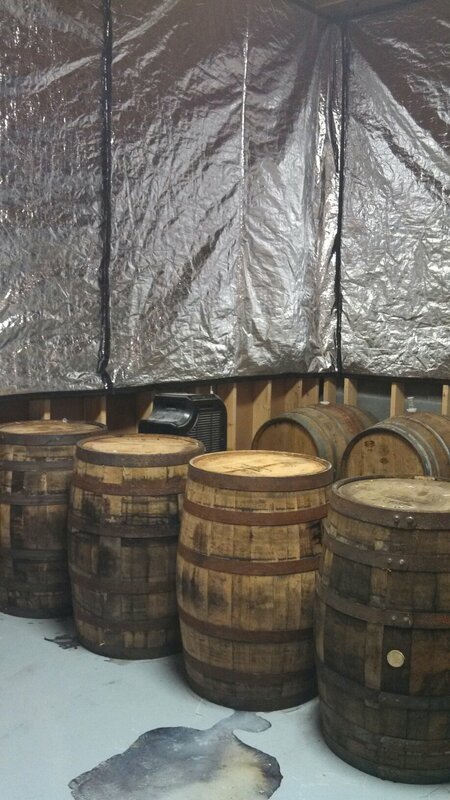 A new trend in brewing craft beers is letting them age in wine barrels. I can’t wait to try these! 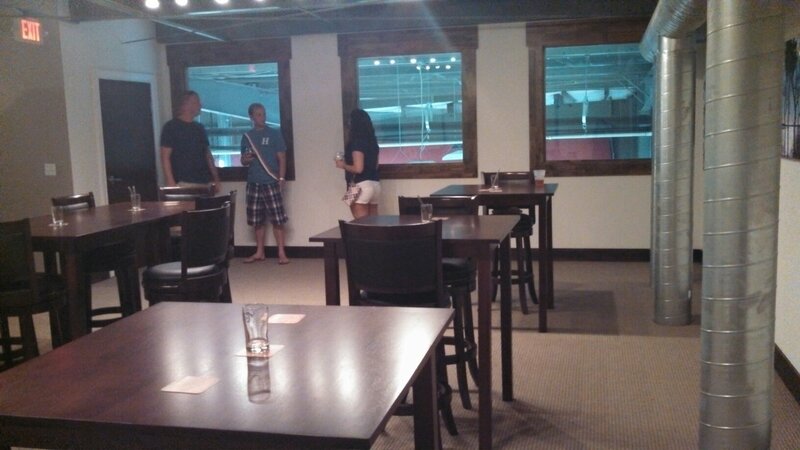 The also have a small event space upstairs which would be great for rehearsal dinners, engagement parties, or just a random get together!!! It overlooks the brewing area. So cool! My husband and I will definitely be frequent visitors! 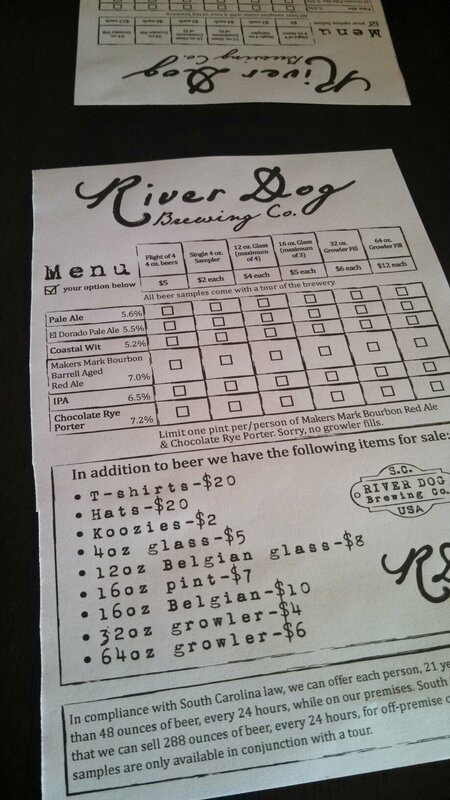 Posted in Beer, Drinks, Event Planning, Friends, Local Business, Lowcountry, SC, Small Business, Wedding Planning	| Tagged Beer, Bluffton, Craft Beer, Food and Drinks, Friends, River Dog Brewing Co.
You look great, Ashley! As for this post’s topic, when you guys finally visit you will have to try these brews: Northern Lights Amber (Moose’s Tooth Brewing in Anchorage), Alaskan Summer Ale (Alaskan Brewing Company in Juneau), and Single Engine Red (Denali Brewing Company in Talkeetna). If you’re game, you can also try a Midnight Sun Oosik at Humpy’s in Anchorage. (Ask Heater about that one.) Cheers!